“Dr. Dong-Pyou Han, an assistant professor in biomedical sciences at ISU [Iowa State University], added human blood components to rabbit blood to make it appear that a vaccine was working to fight HIV . . . . The research had generated at least $19 million in funding from the federal government. . . . Dr. James Bradac, who oversees AIDS research for the National Institutes of Health [said] . . . . ‘It’s difficult to pull this off and it’s difficult not to be detected. . . . This went on for several years and it wasn’t detected until January 2013’. Han agreed to exclude himself from any contracting or subcontracting work with any federal agency for three years, and to not serve in any ‘advisory capacity’ to the U.S. Public Health Service” (ISU researcher Dr. Dong-Pyou Han resigns for faking AIDS research worth millions, 25 December 2013). Millions of dollars have been misappropriated over a period of years. False reports have misled some unknown number of other researchers on the extraordinarily important issue of whether a vaccine against AIDS is possible: “Han’s so-called breakthrough made headlines in the scientific community, raising the possibility that an AIDS vaccine was not far off. . . . More than half of the money [$19 million] was awarded to ISU after Han had reported his doctored results showing rabbits buildings defenses against the HIV virus”. A possible HIV vaccine would be a truly exciting possibility, given that 3 decades of attempts have so far failed to turn up even a good clue as to a potentially feasible approach to making a vaccine . Surely that guilty researcher should be in jail, instead of just being barred from getting grants for a period of 3 years. He should have been banned for life from any association with medical or scientific research or any contact with students. He should have been disbarred, kicked permanently out of every medical and scientific profession. “Han was working for a research team led by biomedical professor Michael Cho, but Han acted without knowledge of anyone else on the team”. How on earth could one member of a research team claim a staggering breakthrough without any of his colleagues, or the leader of the project, being interested enough to enquire into the nitty-gritty details? Any such interest would surely have exposed the deception quite promptly. What does team-work mean, if not productive interactions where every member benefits from what the others find and is therefore familiar with what everyone else is doing? At a minimum, the principal investigator on that research should have been found guilty of gross negligence and also punished — and by more than a slap on the wrist. Bradac’s comment that it’s difficult not to be detected is certainly true insofar as it pertains within a properly functioning research group This fraud over a period of years demonstrates culpable negligence on the part of Michael Cho and his colleagues. But insofar as researchers elsewhere are concerned, there is no reason why they should have been able to sense the deception just by reading the published research reports. Hundreds of thousands of articles have been published about HIV and AIDS, with excruciatingly specialized technical details that arouse interest in no one who is not working in precisely the same tiny little aspect of the field. 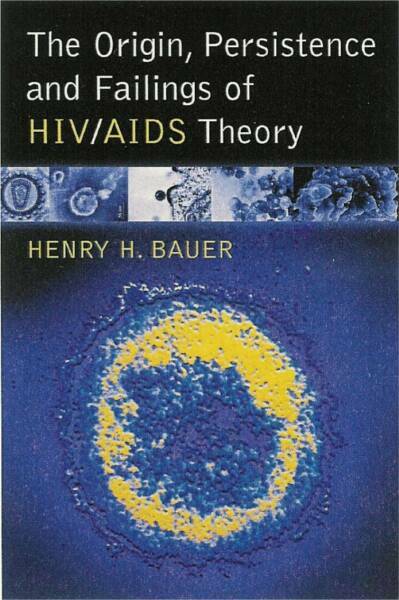 In so complex a field as HIV/AIDS, where so much has been published without much general understanding being arrived at, it is extremely easy to get away with fraud. 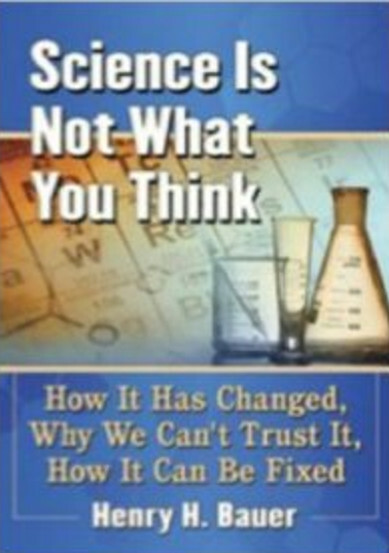 “Science” has expanded — been puffed up —in the last half century or so, like a typical bubble, thereby becoming dysfunctional: The Science Bubble; The business of for-profit “science”; Decadent Science: Does fake differ from genuine? If so, how? ; Fake, deceptive, predatory Science Journals and Conferences; You don’t get what you don’t pay for: Reliable information; Peer review and consensus (Scientific literacy, lesson 2); Dysfunctional research funding; Dishonesty and dysfunction in science; 80% unemployment?! The research system is broken; From Dawn to Decadence: The Three Ages of Modern Science. “Bubbles” are things that have outgrown whatever value they might once have had and have become so unmanageably excessive that they’re harmful to everything around them. In present-day “science” or “research”, the numbers of individuals and groups and laboratories and businesses chasing resources exceed what society needs and is willing to support. As a result, internecine competition has become cutthroat, and frank dishonesty and outright fraud have become distressingly common. Beyond that, too much of “scientific” activity displays shoddy behavior, corner-cutting, game-playing — unethical, unsavory practices that manage to remain just short of provable-in-court criminality. See “False positives: fraud and misconduct are threatening scientific research” for a recent short but comprehensive summary . Many and disparate voices have pointed to one or another aspect of the lack of trustworthiness of contemporary science, but there has been no significant responsive action. The only one that comes to mind is that Harvard Medical School (I seem to recall) would henceforth evaluate only a candidate’s 5 most worthwhile published contributions instead of the whole padded publication list. The trouble is that the Science Bubble, like financial and other bubbles, pays off so well for its vested and powerful interests that no modifications are likely to be made voluntarily from inside the culture that spawned the bubble. The Bubble will implode only when it hurts interests that are more powerful than the vested interests that feed off it and fuel it. In the meantime, however, there is no harm in rehearsing over and over again the calamities brought on by the Science Bubble, and perhaps little ameliorations might even come like the mentioned action at Harvard Medical School. A recent call to arms produced a short-lived kerfuffle of public concern because it came from one of the latest winners of the Nobel Prize. Randy Schekman capitalized on his 15 minutes in the spotlight of global fame to decry the distortions and dysfunctions associated with the hierarchy of prestige of scientific journals: “How journals like Nature, Cell and Science are damaging science: The incentives offered by top journals distort science, just as big bonuses distort banking . . . . The prevailing structures of personal reputation and career advancement mean the biggest rewards often follow the flashiest work, not the best”. Everyone wants to publish in Nature and Science, and every biologist wants to publish in Cell. That puts those journals in an impossible dilemma , seeking to be first with every breakthrough even as no vaunted new breakthrough can be known to be valid until much time has passed. Schekman recognizes implicitly that the whole culture of research is the problem. Even as he was aware of the dysfunctionality, he needed to play the game as a matter of self-interest, indeed of self-preservation as a funded researcher: “Those of us who follow these incentives are being entirely rational — I have followed them myself — but we do not always best serve our profession’s interests, let alone those of humanity and society”. I applaud Schekman for his forthright honesty in full awareness that he would be criticized for hypocrisy and for speaking out publicly only when, as a Nobelist, he could do so in relative security . Inevitably, though, as with all other critics of the Science Bubble (myself included), Schekman cannot suggest appropriate feasible remedies. His proposal, quite worthy in principle, is to attempt to cut Cell, Nature, and Science down to size; and he will practice what he preaches by refusing to send his work to those journals for publication and by editing an on-line, open-access journal supported by funds from wealthy and prestigious institutional patrons. Alas. scholars in Science & Technology Studies  can see at once why this will not do what is needed. Schekman regards it as unproblematic for scientists themselves to recognize good, sound work when they see it: the new on-line journal will be “edited by working scientists, who can assess the worth of papers without regard for citations”. 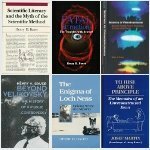 But only time can reveal what is sound and what is not [5, 6]; the most disinterested, well informed contemporaries simply cannot reliably judge what will stand the test of time and what will not, Moreover, one can only judge what researchers write about what they did, not how honestly they described it. Furthermore, undermining the prestige of Cell, Nature, and Science will not change the fact that a hierarchy of prestige of journals will always come about, sooner or later, and the same dilemmas — inherent in being at the top  — will face whichever journals might replace them, even Schekman’s own. 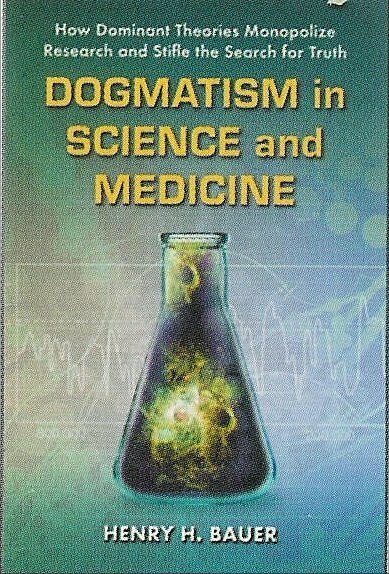 The overriding flaw in Schekman’s critique is its implicit assumption that today’s problems with “science” are internal to the scientific community: brought about internally and therefore remediable internally. But that isn’t the case. Scientific activity is greatly influenced by society’s demands and expectations of “science” and by the interest society takes in it. For example, the mass media are continually on the lookout to make news out of the latest exciting advances. Now, coverage of science in the mass media is, by and large, in the hands of people who know and understand little if anything about the substance of what they are covering. The mass media do not have journalists capable of looking directly into the research literature, so they are highly complicit in the role that Cell, Nature, and Science play: they use those sources because of their own inability to evaluate the primary research literature and the secondary pronouncements that come from the PR departments of laboratories, universities, drug companies. The mass media do not even understand science well enough to know that the latest advances are almost certainly flawed in some manner and may well turn out to be completely mistaken . They do not understand that announcements about “science” ought to be treated with the same skepticism and indeed cynicism as are statements from politicians, governments, corporations — for “news” about science also comes from self-interested sources. An illustration of these matters  came to my attention recently because of my interest in (and skepticism about) HIV/AIDS. It is little if at all appreciated in the public arena that “The mechanism by which CD4 T cells are depleted in HIV-infected hosts remains poorly understood”: to put it bluntly, the belief that HIV kills the immune system by killing CD4 T cells is not matched by an established mechanism through which this could possibly happen, particularly because only a tiny proportion of those cells are ever infected by HIV in “HIV-positive” individuals. In 2010, Doitsh et al. claimed in Cell  to have discovered a mechanism: very crudely speaking, that cells that had resisted infection by HIV nevertheless accumulated debris that eventually causes the cells to die. Three years later, the same laboratory (principal investigator is Warner C. Greene) published in Nature  a modified version of this hypothesis and simultaneously in Science  a more detailed description of a critical step in the process. And this newly discovered (or proposed, or suggested) mechanism could point to an entirely new way of fighting AIDS. What could be more newsworthy? Pertinent to the general discussion above, note that the simultaneous publishing in Science and in Nature of what are integral bits of the same research project is a great coup for the Greene laboratory even as it illustrates how routine has become what, in the good old days, used to be frowned on as cutting ethical corners by salami-slicing: making as many separate publications as possible out of any given piece of research. And of course the popular media could not fail to notice something that just had to be of outstanding importance since it appeared in both of the most prestigious journals in science. What failed to be noted in the media was that just half a year before publication of this latest breakthrough, an entirely different mechanism had been ballyhooed, which also had been said to offer hope for more effective treatment of AIDS: “Scientists discover how HIV kills immune cells; findings have implications for HIV treatment” . Here’s the main point. Schekman is quite right, that incentives are at work that make science dysfunctional, sabotaging the potential value to society of research done and published and publicized honestly. But the damaging incentives are at work not only within the scientific community, they are at work in the mass media and in academe and in the drug business and in the corporate world in general. The enemy is us.